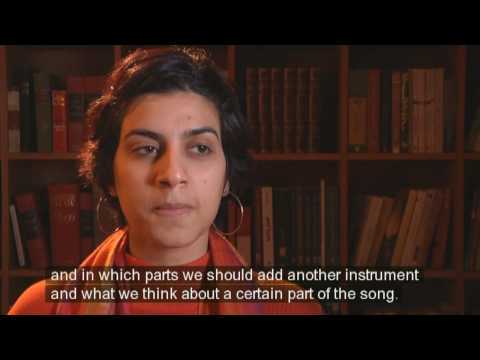 Soundtrack for Change was arranged by Spiritus Mundi, commissioned by the Swedish Institute, for 25 journalists/opinion makers from the MENA region (Middle East & North Africa) in November 2008. The workshop was a part of the Swedish Institute’s Young Leaders Visitors Program (YLVP). The participants were 20-35 years old, working within the media or as opinion makers in Egypt, Syria, Jordan, Lebanon and Palestine, and actively working for democracy and human rights. The workshop was built around the idea that the participants should create their own soundtrack for change by writing lyrics and vocal melody for a pre-recorded composition. The musical work was alternated with lectures.